Featuring an elegant open design, this beautifully crafted table lamp makes a striking addition to any style of decor. 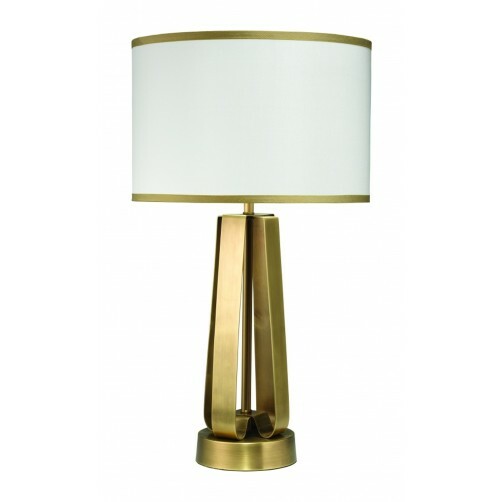 Created in brass and steel, the sleek design of this lamp is complemented with a rich antique brass finish. 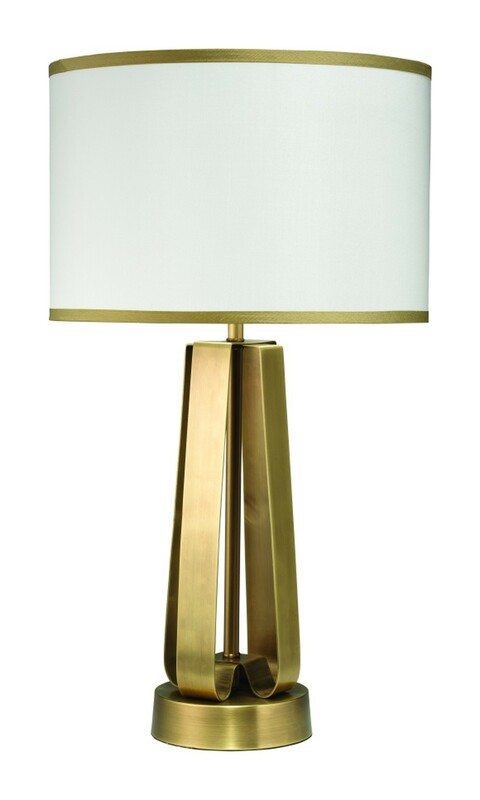 A silk lamp shade accented with golden trim at the top and bottom completes the look. Shop the full collection by Jamie Young Co.
Info: Ships out within 2-3 weeks, direct from Jamie Young to you. Shipping time: Add up to 2 weeks for delivery, depending on the ship-to location. We will contact you with freight shipping details when your order is ready for delivery. Ships via: Standard Freight Delivery. Expedited delivery is not available. © 2015 tuvalu inc. all rights reserved. | tuvalu coastal beach home furnishings, decor and interior decorating services in laguna beach & san clemente, ca.